We are very proud of our Salem heritage. 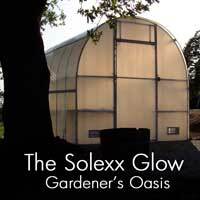 If you stop by to our SolexxGreenhouse factory at 3740 Brooklake Rd, Salem, OR, be sure to allow some time to visit Bush Pasture Park in downtown Salem. Here is some information about the park. 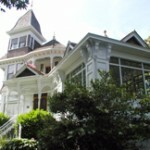 DeepWood Estate, a well-appointed Queen Anne Victorian Mansion designed by William Knighton was built for Dr. Luke Port in 1894. Mr. Port sold the house to George and Willie Bingham in 1895. 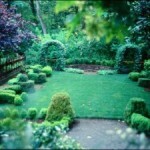 The Bingham’s developed the grounds with roses, an orchard, grape arbor and vegetable gardens. Alice Bingham Powell, daughter of George and Willie hired the first all female NW landscape architecture team Elizabeth Lord and Edith Schryver in 1930. Alice lovingly maintained the gardens personally until 1968. 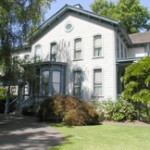 The city of Salem acquired the home in December 1971. Since 2005, The Lord & Schryver Conservancy has been rehabilitating the Historic Deepwood gardens back to their period of significance. Don’t miss the Scroll garden – wrapped in intricately designed iron fencing – it mimics the shrub and boxwood design. The lovely, intricately designed home is situated on four manicured acres of trails and historic gardens. The museum is operated by the Friends of Deepwood, a non-profit organization. Make sure to stop and admire the densely packed Gertrude Jeckyll styled perennial border. The lush color-themed planting is located on the East side of property backed by the signature blue-green lattice fencing designed by Lord and Schryver. 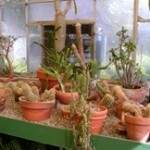 The property boasts a large glass greenhouse with cactus, begonias, orchids and many tropical specimens to enjoy. An 1878 Italianate residence that was home to pioneer businessman Asahel Bush II and his family. The house has been open to the public since 1953. It is lovingly owned and maintained by the City of Salem. The grounds feature an old oak grove, Japanese maples and wisteria covering the porch and pergolas. 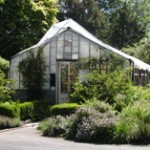 The oldest existing greenhouse in Oregon and the first one built west of the Mississippi River in 1882. The south-facing exterior wall is lined with large cold frames used to start vegetables for the garden. A cordon apple tree planting creates a living wall on the left side of the greenhouse. 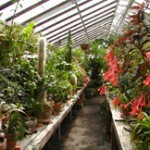 The conservatory is filled with Victorian period plants. Bush Pasture Park boasts over 90 acres filled with native oak trees, conifers and drifts of annuals. The rose garden is home to over 2,000 vintage rose collection donated by the Armstrong and Howard Rose Company, Peterson and Dering and Mrs. A.R. Tartar. A day trip to Salem is not complete without taking a ride on the hand carved carousel. 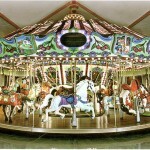 The carousel features thirty two hand-carved ponies that took under four years to complete. Salem’s Riverfront Carousel project was inspired by a trip Hazel Patton took in 1996 to visit family in Missoula, Montana. While there, she visited the first old-world style carousel built in the U.S. since the Great Depression. When Hazel rode the carousel, she knew that the citizens of Salem could bring similar magic to the banks of the Willamette River. Take a quick ride ‘round and enjoy the views of the river at the same time. Deepwood and Bush House photos taken by Dawn Hummel. 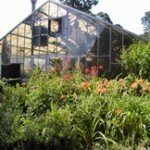 The Lord & Schryver Conservancy provided photos of L&S, garden plan and Scroll garden. Carousel photo provided by the Salem Carousel website.